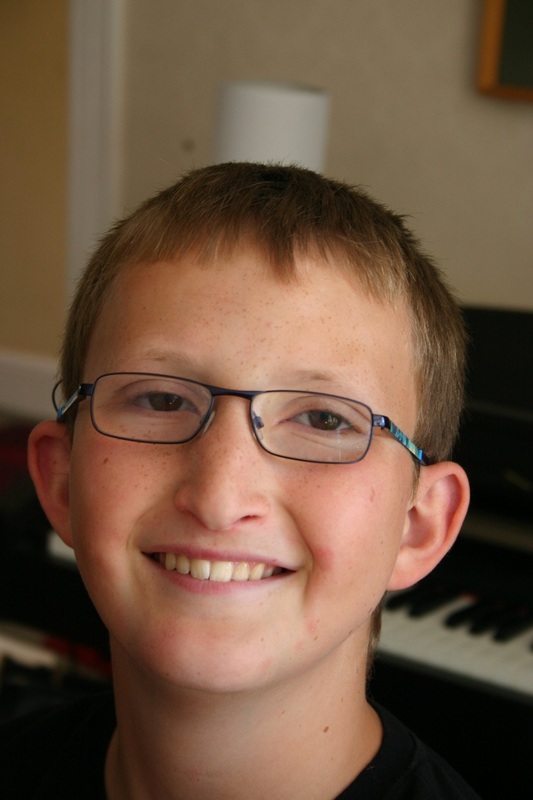 My son, Will, now nearly 15 years old, has very little useful aided hearing due to extreme ‘hypoplasia’ of his auditory nerves: his left nerve is completely absent and he has very little nerve on the right, so there is hardly anything for a cochlear implant (CI) to connect to. Hearing aids couldn’t help him at all – he was pretty much 100% deaf with or without hearing aids – and when he was finally approved for a CI at 2½, no one had much expectation that it would give him any more than some awareness of environmental sounds. It was soon obvious that he couldn’t hear much spoken language with his implant, so all the professionals supporting us advised that BSL was the only real option. The signing route didn’t feel like an obvious or straightforward ‘choice’ though. We had had huge difficulty finding and accessing affordable BSL tuition and our signing was still terrible. The signing support at his new sign-bilingual nursery wasn’t good, and home visits from our deaf inclusion worker were too short and infrequent. The clock was ticking, as he only had a few of his critical language-learning years left. His rare medical condition had led us to contact some families in a similar position in the USA and Belgium. They told us that they had been encouraged to use ‘Cued Speech’ (CS) as well as sign language. We hadn’t heard of CS, as no professionals working with us had mentioned it. Our friends explained that, as far as spoken language is concerned, it could be used to provide visually for Will what a hearing aid or CI provides aurally for other deaf children: every sound of spoken English that he couldn’t hear could be made visually clear to him by us combining our normal speech with a simple system of simultaneous hand movements near the mouth to make it easy for him to lip-read us. On its own, lip-reading is insufficient for a baby or young child to learn spoken language without being able to hear it at all, but when it is combined with CS, normal speech can be made 100% visually accessible for a completely deaf child, even in normal conversation. At first, we just couldn’t believe that this could be possible. It seemed like a miraculous discovery. Why hadn’t anyone told us that this could be an option for Will? Fourteen years down the line, it feels like CS was the only option to give him the chance of realising his full potential in life. He’s now a happy, confident and successful teenager, popular and self-assured with both hearing and deaf friends, and doing everything that you would want or expect a regular teenager to be doing. 1) It was the only way that he could learn spoken English naturally at home as his ‘mother tongue’ while he was still young, just as a hearing child would: CS was the only visual alternative to hearing aids that could give him complete and immediate access to all the spoken language around him at home. 2) It felt natural and empowering for us to be able communicate with him in our own family language. We could barely manage to piece together basic phrases in BSL, so the first time I cued a full sentence to Will, knowing that he could ‘see’ everything I was saying, was one of the most liberating and exciting moments of my life. 3) The system of hand shapes and movements used in CS was unbelievably quick and easy to learn – it only took 5 days of training to learn how to cue the 44 sounds of spoken English, after which we could cue anything we liked in the English language. In fact, it felt very similar to learning the type, with a steep learning curve at first but then only a couple of weeks of practice to properly get the hang of it. Within a couple of months we were up to normal conversational speed. 4) Immediate training was free and easy to arrange. We were offered a week’s one-to-one training at home by the Cued Speech Association. These days it would be easier to arrange training because so much can be done online using Skype and e-learning resources. Once trained up, there were no follow-on costs involved, no equipment to maintain, and no endless lessons or appointments to attend. We were fully equipped to do everything that we needed to do at home. It was simply a matter of using the system consistently when Will was around. 5) There was no need for Will to ‘learn’ Cued Speech himself: he naturally starting understanding and following our spoken language through his vision, just as a hearing child would naturally pick up spoken language through their hearing. It served, as I said, like a visual version of a hearing aid, so that he could see (rather than hear) spoken English receptively as a first language. 6) Over the years, CS helped Will to become an excellent lip reader and to improve his listening skills. He became better and better at listening out for the sounds that he already knew visually from CS, and he’s now very skilled at guessing or predicting sounds or words that he can’t hear properly when someone is talking. These days we don’t need to use Cued Speech much at home as he can now follow us quite easily as long as we face him and slow down, and don’t speak all at once. It’s the same for his friends. 7) There was no problem combining Cued Speech with BSL to help him develop visual bilingualism and enable two-way communication. In fact, the quality of our BSL (such as it was) improved instantly the moment we started using CS. CS forced us to separate the language properly and stopped us drifting into SSE when we were speaking. We quickly got used to voice-on CS and voice-off BSL. We said most things to Will at least twice: once in English with CS, and then repeated in sign if we could. We were reassured by the experience of an English family living in Belgium who had previously brought up two completely deaf children in this way. Their two deaf sons, now grown up, had learnt several spoken and signed languages fluently while young and had gone on to learn other foreign languages later. 8) There have never been significant communication barriers for Will within the family. Using the combination of sign language with CS, and later lip reading and speech, Will has been able to communicate fully and easily with the whole family – including our extended family – without any significant barriers. This has made it much easier and straightforward to include him fully in family life. 9) Will has been able to develop and progress with age-appropriate language, literacy and numeracy skills and higher-order thinking skills, on a par with his hearing peers. After just a few months of us starting to use CS at home, Will understood over 50 words, and by the time he started school at age 4/5, he had age-appropriate understanding of English and could understand complex phrases and knew a huge range of vocabulary. His phonological and other English language skills meant that he took easily to reading and writing. By KS2 was ahead of many of his hearing peers in many aspects of literacy (and maths). 10) It has made it easy and inexpensive to arrange high-quality communication support at school that guarantees full access to all spoken communication and learning in the classroom. Because it is very low-cost and quick to learn as a system, the school could recruit a TA and train her straight away in CS at minimal expense. The closest comparable level and quality of one-to-one support in BSL would be a Level 6 BSL interpreter, which would have been extremely difficult and expensive to arrange in the rural area where he goes to school. 11) By supporting his development of excellent language, communication and literacy skills and enabling full and direct access to learning, CS has made it possible for Will to be successfully included in mainstream education, and to have complete access to mainstream culture through books, TV, films, social media, etc. It has also supported his social and emotional well-being. Will is well-known and well-liked at his mainstream school and his local community; his best friend is a hearing boy from the local town who he first met at primary school. He is an avid reader, so he loves books and has no trouble reading TV/film subtitles and Facebook conversations. 12) He has the same career choices and life-chances as he would if he was hearing. By enabling us to overcome the main the barriers to his language, communication and social inclusion, CS has helped Will to develop and progress just as well as we could have hoped for any child. He is already looking at possible university courses and careers, and assumes that his deafness won’t hold him back. He says he is proud to be deaf; he just won’t let it get in his way. This entry was posted in Uncategorized and tagged Cued Speech, deaf, Sarah Collinson. Bookmark the permalink. I first met Will when he was about 4 years old. His progress has been remarkable, not because he is a genius child or had any exceptional advantage in life, but because Cued Speech has allowed him to achieve, and enjoy life, as much as his hearing peers. Well done Will and well done the Cued Speech Association on developing more economical and accessible ways of helping more families to learn how to communicate with their deaf child, including Skype, e-learning and grant-assisted face-to-face learning. Brilliant system, changes lives. Excellent summary of the benefits of Cued Speech. Glad your family had access to it.